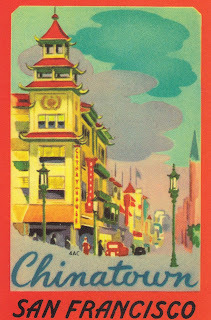 Postcard US-3934037 to Germany is a reproduction of a vintage poster of the Chinatown in San Francisco, California. 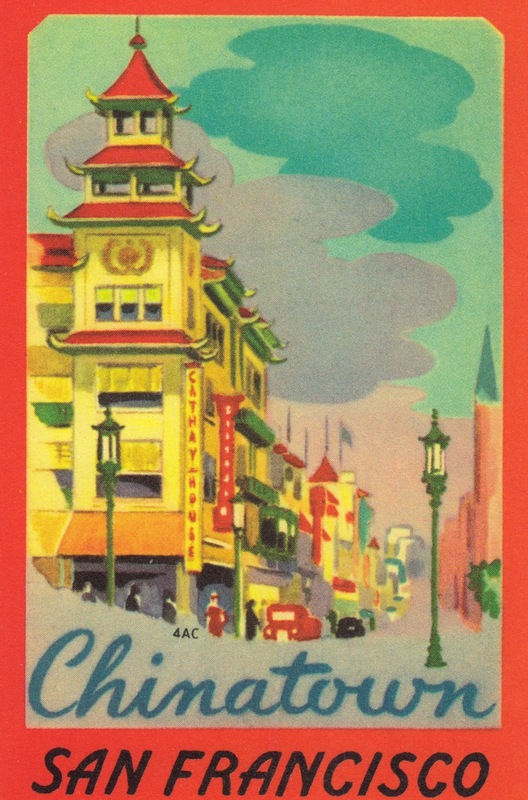 It shows the Cathay House Restaurant located in the heart of Chinatown with a lengthy traditional Chinese menu and a prime street view for people and cable car watching on California Street. "San Francisco Sees a Colorful History Slip Away in Chinatown" by Jean H. Lee, run on Los Angeles Times on May 31, 1998, was an interesting article to read about the changes and conflicts that had happened there: "while old-timers want to maintain the district's antique, if stylistically bogus, architecture, recent immigrants are clamoring for new development."